Herndon and O'Meara: Attorneys at Law is a law firm located in the Charles Village neighborhood of Baltimore. Elisabeth Herndon and Christopher O'Meara are two young, passionate attorneys. We started this firm because we love being lawyers and want to practice law our way. Working in a field where many of our colleagues have been in practice for longer than we've been alive, we know that we have a lot to prove and we're up to the challenge. Elisabeth Herndon is a Maryland admitted attorney. She enjoys taking on tough criminal defense cases and takes the time to talk to her clients to figure out and then explain the best way to handle the case, all while letting the client make the important decisions that should be theirs to make. What sets Elisabeth apart from other attorneys is the time and attention she pays to her clients. She makes returning phone calls and emails a priority. If a client is incarcerated, she has no problem making the time to visit them to keep them informed about their case. Elisabeth is a graduate of New England Law | Boston, at which she received a CALI award in School Governance and Teacher’s Rights and participated in the Lawyering Process clinic with a focus on family law. She attended Towson University and received a bachelors degree in Law and American Civilization with minors in Political Science and American Studies. In her free time, she enjoys painting, writing, and playing kickball. Chris O'Meara was born and raised in Prince George's County, Maryland and moved to Baltimore in 2018 to practice law. He has a passion for providing equal justice for all those in his communities. Chris strives to ensure every client is afforded their constitutional right to due process and a fair trial. Chris is a graduate of the Catholic University of America's Columbus School of Law, where he graduated with a concentration in criminal litigation. 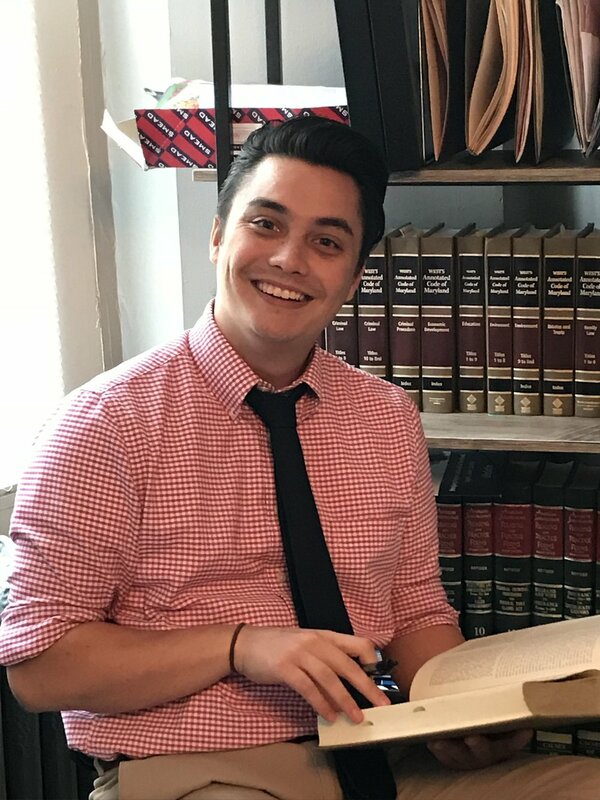 At CUA Law, Chris was a Student-Attorney at Columbus Community Legal Service's Civil and Elder Law clinics. When he is not in court, Chris enjoys tacos, reading Batman comics, and baseball.